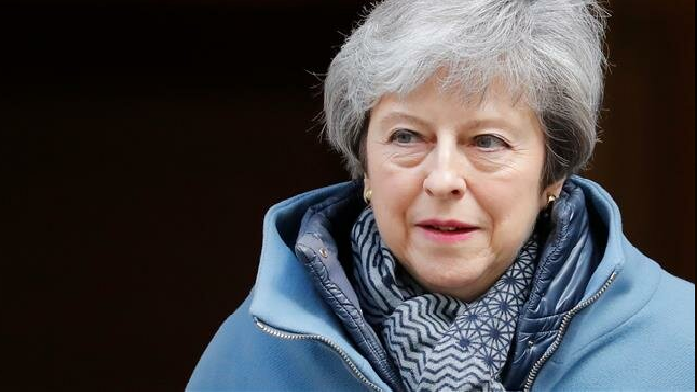 British Prime Minister Theresa May wrote to European Council President Donald Tusk on Friday asking for a delay of Brexit until up to June 30, but said she aims to get Britain out of the EU earlier to avoid it participating in European elections. An EU official signaled that Donald Tusk, the chairman of EU leaders, could be willing to offer even longer: up to a year for Britain’s feuding politicians to agree and ratify a plan. France, however, indicated it was not yet ready to accept an extension unless the British presented a clear plan which would justify such a delay. “We’re not there today,” a source close to French President Emmanuel Macron told Reuters. Britain is now due to leave the EU in a week, but May has been forced to seek more time after Britain’s parliament failed to approve a withdrawal agreement. Her Conservative Party is deeply divided, as is the main opposition Labour Party, leading to an extraordinary series of inconclusive votes in parliament that have stretched Britain’s centuries-old unwritten constitution to its limits. Scenarios that run the gamut from abandoning the EU abruptly with no exit deal to cancelling Brexit altogether have all gone down to defeat. Obscure parliamentary procedures have been resurrected from the rulebooks providing daily drama from the House of Commons, but the future of Britain’s biggest change in generations has become no clearer. After finally recognizing that her minority Conservative government could not push through a Brexit deal on its own, May started talks this week with Labour leader Jeremy Corbyn in the hope of coming up with a cross-party solution. But that means accepting the need for more time, including the prospect that Britain might have to hold European Parliament elections on May 23, which May has long said she hoped to avoid at all cost.